Since 1952, when Tom opened his steak house to Chicagoans, he set a tradition that we follow to this day. At Tom’s, we hand-cut each of our steaks in house, from prime quality USDA approved meats. 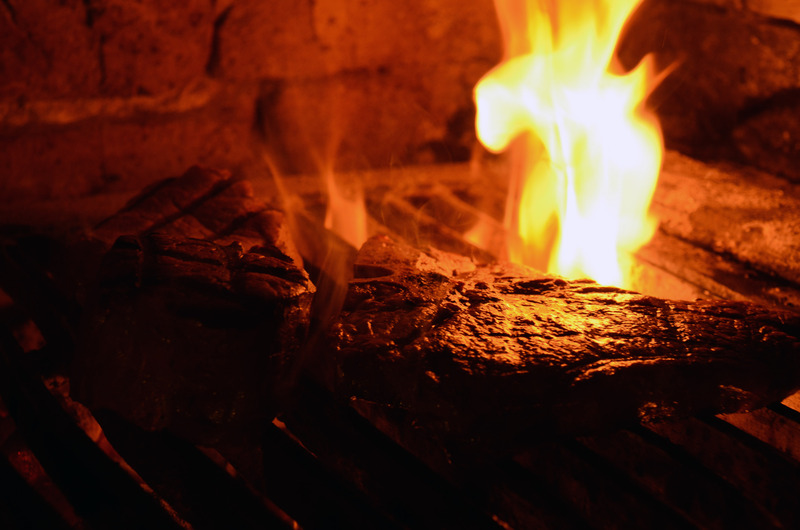 Our cooked to order steaks are broiled over flaming hickory charcoal that gives them their authentic taste and flavor. They are then placed on our unique charcoal brazier where the meat continues its cooking process to perfection. Each steak is served table-side in front of you, right off the brazier and onto your plate with our signature Au Jus. cocktail or a select bottle form our list of wines and champagnes. Our lounge offers a great atmosphere for everyone who enjoys an enticing classic cocktail. If sitting at the bar is your way to enjoy the best part of your day, then you need to come to Tom’s. You can relax in a booth or mingle with your party at the cocktail tables. Eat and drink as you like. You and your party will love it here. For hosting your next special event, Tom’s offers two private dining spaces with a private bar. Each space will accommodate 50 seated guests. The grand room incorporates both spaces and seats 120 guests, or cocktail receptions up to 180 persons. Whatever your occasion may be, we will offer you excellent options to fit your plans in making your gathering fabulous. Thank you for your interest in Tom’s Steak House. You are always welcome to call the restaurant and speak with our staff. We are happy to help you. For the purpose of your convenience, you may also use the form below. * The content of this email is confidential and intended for the recipient specified in message only. 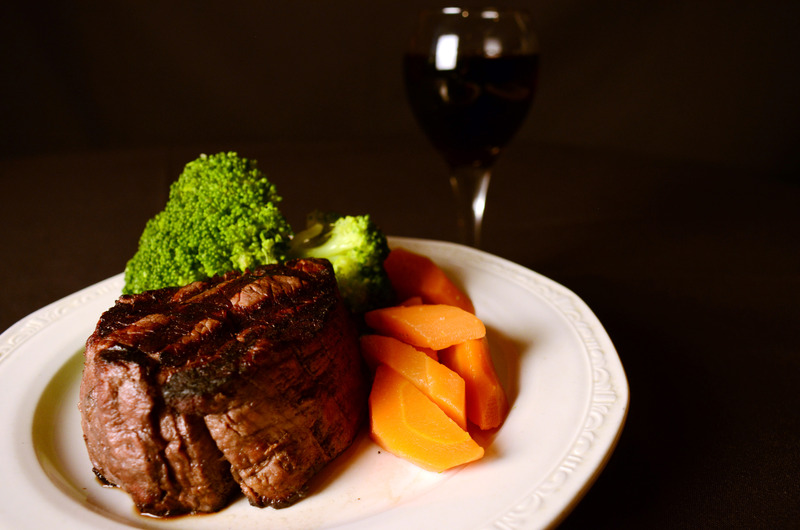 Do you enjoy a good steak dinner at Tom’s? How about a glass of wine with your dinner? Or even an amazing salad? Then the Tom’s Dinner Club is for you. 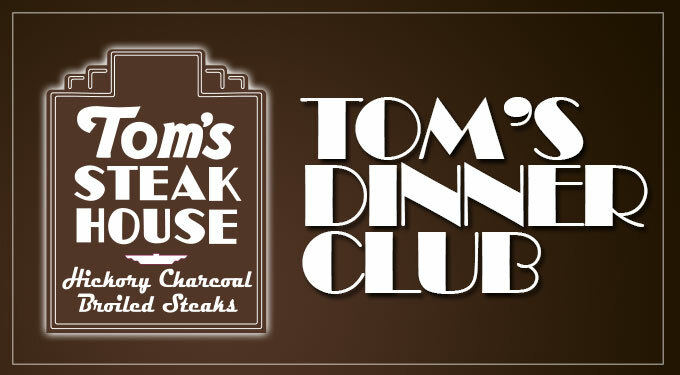 The Tom’s Dinner Club is the exclusive dining club for those who love Tom’s Steak House. Join for special members-only deals. Don’t worry, your information is safe with us. We never give out your email address and will only send you monthly emails with great members-only deals. If you ever want to discontinue, just click on the unsubscribe link on the bottom of all of our emails and we will never bother you again.